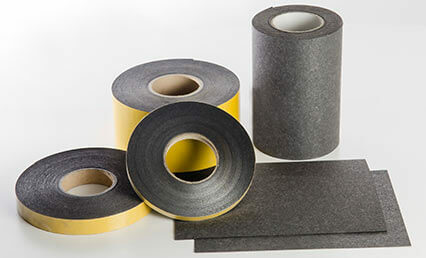 We manufacture a range of intumescent materials that expand rapidly when heated and can withstand very high temperatures and are therefore well suited for use as fire protection materials. 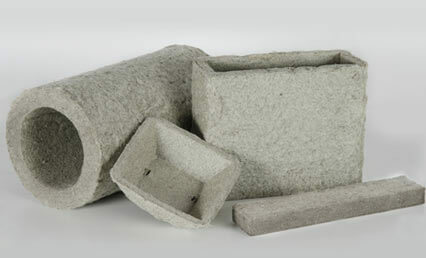 These materials are manufactured as sheets, paper or into bespoke 3D-shapes and are converted into products by ourselves as well as by our customers. By using intumescent materials in air gaps, ceiling penetrations and ventilation systems, conventional trade-offs including mechanical fire barriers and expensive and complicated workarounds can be avoided. Products based on intumescent materials can be designed to allow air circulation in the normal situation but then seal off any escape routes for the flames and heat in case of a fire. 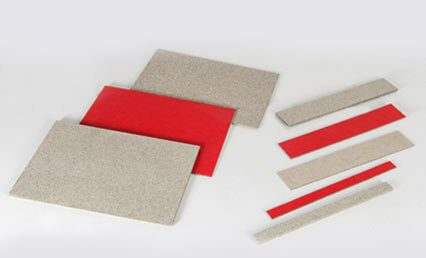 Below are a few examples of the different fire protection materials we manufacture.